So over the weekend, this happened . . .
Now, I'm not saying I'm the coolest aunt, but . . .
That's Elijah Wood (Frodo in Lord of the Rings) showing us The Ring. I've heard that one of the reasons they cast Elijah Wood as Frodo was because he has such big, bright, blue eyes. When I was standing this close to him and talking to him, his eyes were so big and bright and blue--it was like he had these two huge flashlights shining out of his sockets. Okay, that may be a bit of an exaggeration, but they were so big and bright, like, not just in color, but happy-bright. And he just seemed so present and so happy, and energetic, but it was like, contained and controlled. Also last week, I had pit tickets to see Muse and 30 Seconds to Mars! You probably aren't as big of a Muse fan as I am (who am I kidding? No one is. ), but imagine being that close to your all-time-favorite band or musician, in a big pit full of the best audience you've ever been surrounded by in all your concerts throughout the years. Yeah. If you haven't experienced that, you need to. The people I was next to in the pit were HUGE fans--so naturally I fit right in. We were freaking out the whole time Muse was on stage. One of the guys was jumping and dancing around almost the entire time. 30 Seconds to Mars said it was the best audience that they'd played for on this tour (and it was the last performance of the tour). When Muse was done, they said Salt Lake City was always their favorite audience in the U.S.A. Matt, their frontman, even broke his guitar, and chucked it in the air, and pieces were falling out before it hit the stage. They are so dang talented. I would give anything to be as good at writing as Matt is at vocal range, guitar, piano, songwriting, and stage presence. 30 Seconds to Mars was really wonderful too! Definitely some of the best performers I've seen. It was so fun being so close to my favorite band and being surrounded by so many people all rocking out and singing along too! If I could, I would turn around and buy that same ticket and experience it all over again. 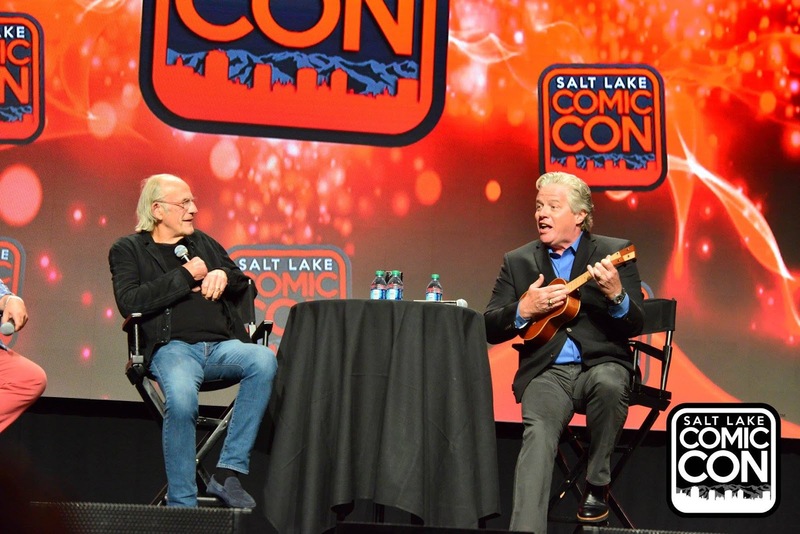 Comic Con also had Christopher Lloyd ("Doc") and Tom Wilson ("Biff") from Back to the Future. And all I want to say is that Tom Wilson is hilarious! And super entertaining. Fun fact: the word "Butthead" was invented by him, because he didn't want to say "a-hole" which was in the script. 😆 From there, he invented all the other off and wrong things Biff said. Tom sang us two ridiculous songs that had everyone laughing, one included all the FAQs he gets about Back to the Future and their answers, so no one needed to ask him those questions. Oh and he sang us this dumb KFC biscuit jingle he still remembered from pre Back to the Future, when he did commercials. He was in the commercial that introduced the first ever KFC buttermilk biscuits. 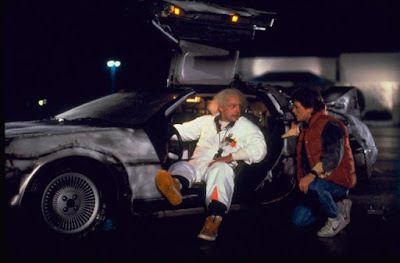 They had the DeLorean there too. I wanted to get a picture with it, but every time I went by it, they were doing photo ops with the actors (which I hadn't bought) or I had other things going on. Oh well. Of course, Comic Con always has tons of pop culture booths--like tons. I found this cool terrarium booth. It was amazing. And I totally fell in love with this one. I did four panels this year. 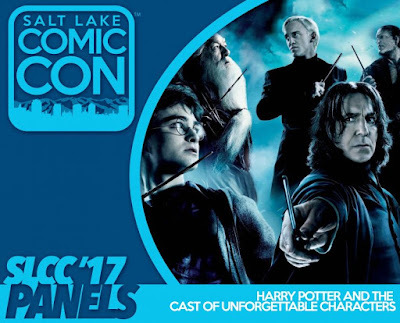 My favorite was probably the one on Harry Potter characters. There was a really great energy between the panelists and the audience. Way fun. But something new I did this year was help out with the kid section. 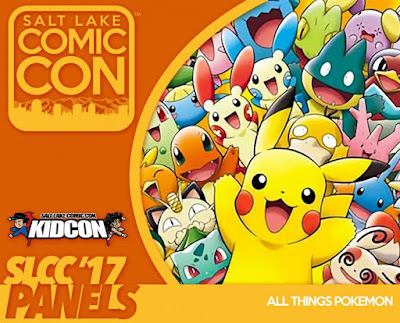 For the first time, Salt Lake Comic Con wanted to do panels for the kids, so they put me on the Pokemon one. GREAT turn out. All the seats were full and kids were sitting on the floor (mind you, the sitting area for the kid panels are much smaller than the others, but still). I brought Pokemon cards to give out to all the kids, and it was a hit. (Maybe too much so, because they got a little difficult to control after that). But it was so fun because they were so excited. Salt Lake Comic Con is so amazing, because, like the concert, everyone is there having a great time, celebrating what they love, and everyone is so friendly and nonjudgmental, and you can strike up happy conversations with any stranger. This has definitely been the most fun I've had this year so far. 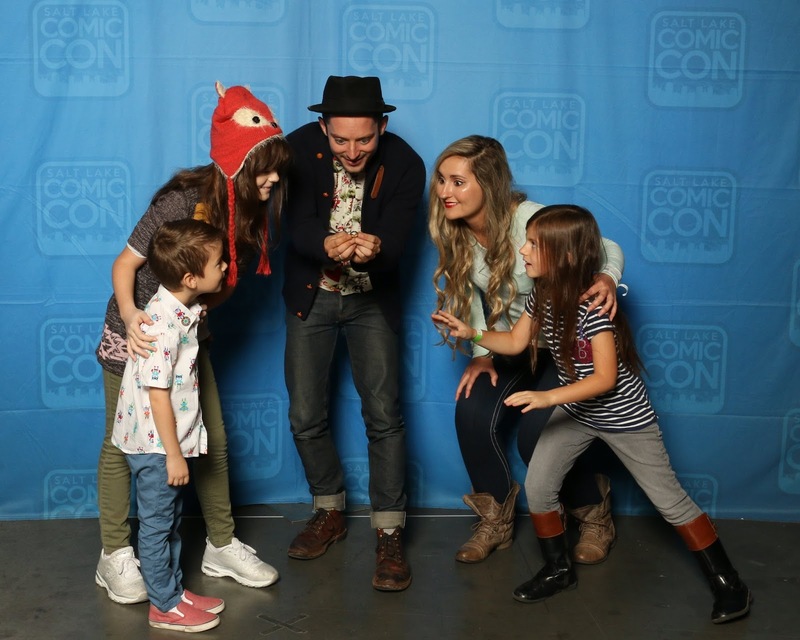 I mean, it's pretty hard to beat those concert tickets AND meeting Elijah Wood. Everything was a blast. Everything. I didn't want to come home! Overall, this trip reminded me how great life can be. Yes, there are low moments and difficulties, but life can be just so dang good sometimes. If you ever feel like it will always be doom and gloom, please know that there are wonderful moments and experiences to be had in the future. And never forget to make time to have fun! When you are having lots of fun, many, if not all, those things you worry about, were annoyed about, stressed about, melt away and feel small and insignificant--all that matters is that you are doing what you love. - The Hobbit feet took a while to put on, and they had to glue them to their own feet. They were made of silicon, so their feet were all sweating like crazy. - When he returned to the role of Frodo for The Hobbit, it was so easy to slip back into, that it was as if no time had gone by. - "By the time The Hobbit was being filmed they had Hobbit feet boots." (Elijah Wood getting very animated) "The actors had it so easy. They had NO IDEA what it was like!" - "They were still silicon though, so your feet still sweat like crazy! You'd take them off, and it was just like this huge river of sweat coming out!" 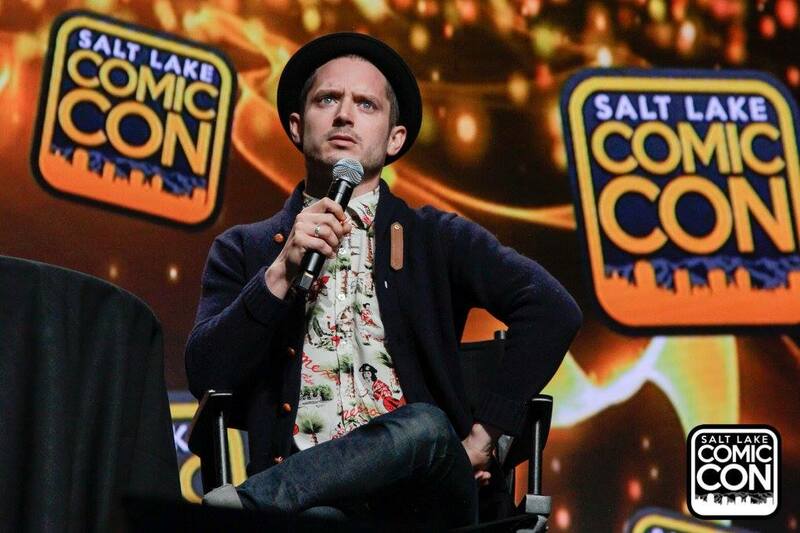 - "And the cast of The Hobbit, I mean, they have no idea what it was like." (Still animated and jokingly) "They have like layers and layers, and huge jackets, and boots, and everything. Meanwhile in the Lord of the Rings, we filmed in so many locations that were freezing, and we are in shorts and thin shirts, and we're progressively wearing less and less clothes and they are getting more and more raggedy." - The most emotionally difficult scene for Elijah to film was near the end of the series, before Frodo collapses and Sam carries him. And having to keep getting into that emotional state for each shot was something. Here is my schedule in case anyone else is going to be there and would like to see me! People turn to fandoms for more than just entertainment. We find comfort and inspiration, guidance and even spirituality, in the art we consume. 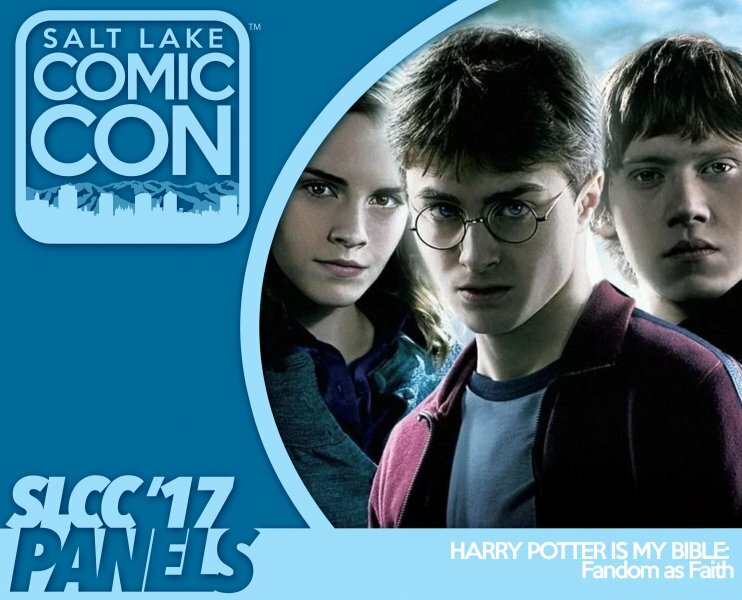 Drawing on the example from the podcast "Harry Potter and the Sacred Text" this panel will discuss the deeper ways fandom can help us in life. 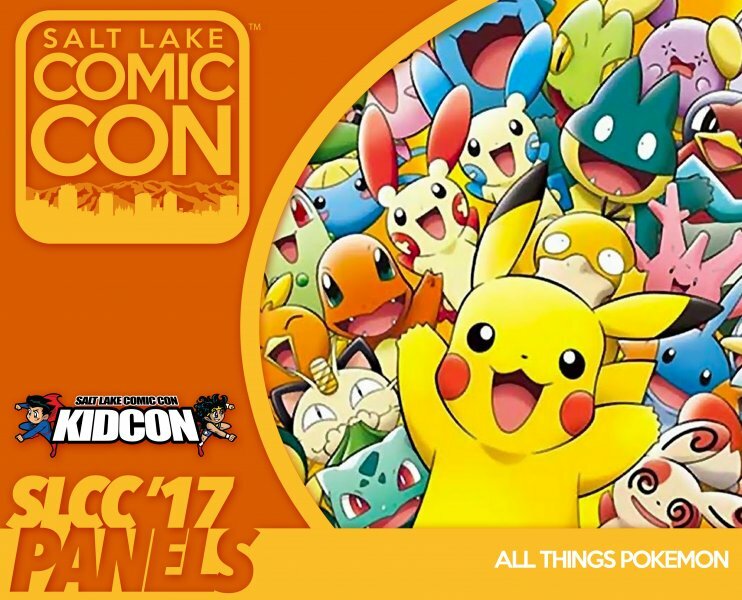 We will be talking about everything Pokemon--games, shows, cards, whatever--and invited the kids there to do the same. From the publication of the Sorcerer’s Stone in 1997 to the home release of Fantastic Beasts in 2017, the Harry Potter universe is now 20 years old. 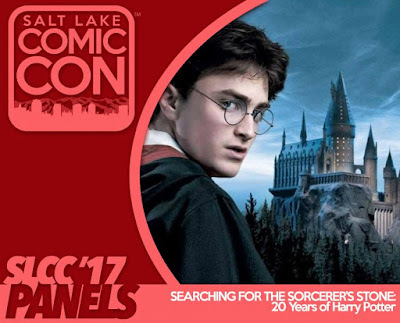 Join us as we discuss Harry Potter then and Harry Potter now, stroll down our favorite wizarding memories, and consider how Harry Potter has changed the world. Later we’ll open it up for you to share some of your own favorite moments with us. Will Harry Potter still be here in 20 more years? We certainly hope so! Other than all this, I still need help with my Thunderclap campaign going on. If you missed last week's post, I'm launching a freelance editing website at FawkesEditing.com, and I'd love to get some help spreading the word. If you aren't familiar with Thunderclap, it's a service where people vow to share a link on social media on a specific day (ours is Oct. 13). I need at least 100 people to vow to do this, and you need to do it through my Thunderclap. Thanks to everyone who has already joined my Thunderclap. And since I'd hate to leave you guys without a writing tip this week, I'm linking to my latest tip on Youtube, where I discuss the writing rule that you should not use adverbs and should only use adjectives sparingly. In my follow-up video, I'll explain when and how to break this rule. I usually talk about the writing process on my blog, but today I wanted to talk about the editing side of my life. I also have a little surprise at the bottom of this post, but if you feel like you can't read through my points to get there, I guess you can scroll down and come back. 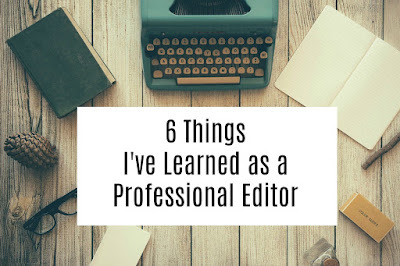 I thought it would be helpful for other writers to hear my thoughts as an editor and important points I've learned (or that have been validated to me) from that perspective. 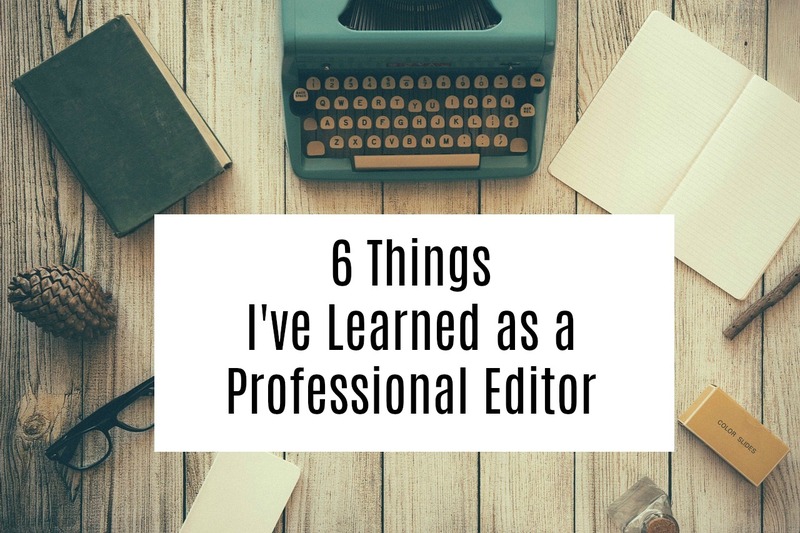 As you probably know, I work for a best-selling author, but he also teaches and does editing too. One of the things I've heard him say is that ultimately, it's the writer who puts in the real work. It's the writer who came up with the vision for the story. It's the writer who puts in the hours. It's the writer who put something on the page. Sure, everyone else in the process may hold a little claim to the development of the project, but it's small in comparison. A fraction. And while there are editors and other professionals in the industry who may request changes, ultimately it's the writer's story. Your story should reflect your vision, not mine. 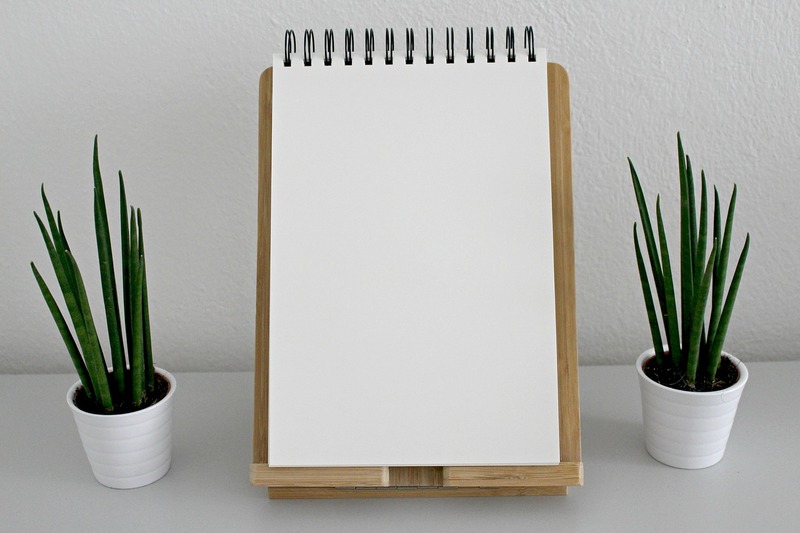 I work in freelance editing, not for a publishing company, so my perspective may be a little different than editors of New York, but in my case, I strongly believe that the suggestions I make on a manuscript are just that: editorial suggestions. They may be educated suggestions and experienced suggestions, but they are suggestions nonetheless. It's up to the writer to decide how he or she shapes the story. My job is to help them see how to make the story better. How to nail their vision for the story and the audience's experience of it. But they should write true to themselves, not true to me. It's your story. Not mine. If you peruse things other writers have said, especially older famous writers, you won't go far until you meet the concept that being a good writer is something innate and can't be learned, let alone taught. This is elitism at its finest. I've also seen quotes from writers who portray that no writer (or anyone for that matter) really knows what he or she is doing and why it works. Both of these ideas are completely ridiculous. People who say writing can't be learned, don't know how to teach it. People who say they don't know how to do what they do are people who don't know how to explain it--because for them it's subconscious and intuitive. Both these concepts are thwarted daily--by people who do know how to teach writing and by writers, like Brandon Sanderson, who know exactly how to explain what they are doing. Writing is a tricky topic to teach and a tricky talent to gain because almost everything about it is intangible. But writing can be learned just as anything else. If you want to write a better story, and you have the capacity to read and understand this post, you can become a better writer. Don't believe any other crap you hear. Remember that concept that writers must be born, not made? I hope so, because it was just in the last section. One thing I have learned and know to be true, is that however "naturally" talented you are, we start at the beginning. Everyone needs to learn the basics. And while, I do believe some of us are more "natural" at things than others, even Michelangelo had to learn his colors. However great of a writer you feel are destined to be, or however horrible you think you are at writing, everyone--everyone--starts at the beginning. And everyone can make progress. Sure, some people may pick up on things intuitively or faster than others, but we all start at the beginning. If you aren't a natural, you can still learn how stories work, just as you learned how to do anything else that didn't come naturally to you. If you are a natural, you should still learn how stories work and function, so that you can write them more intentionally. The difference between a "natural" and someone who is not, is that the former learns and picks up on things more subconsciously and intuitively while the other learns more consciously and intentionally. In the end, both need to learn and use the mechanics to reach their full potential. 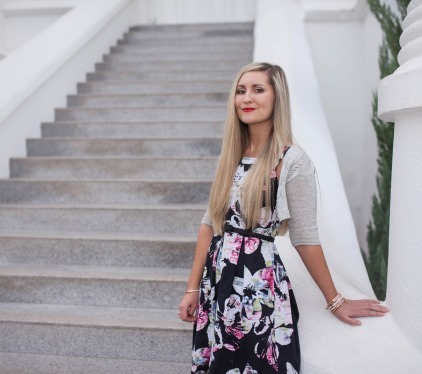 I've done editing for all different kinds of people--some with jaw-dropping professions. Trust me when I say we all must learn the basics to become better. Contrary to some popular beliefs, positive feedback isn't really a matter of self-esteem or ego-stroking. Can it do those things? Absolutely. But every writer needs positive feedback. It is just as important for a writer to know what is working as it is to know what's not working. Some of the things that are working well in the story may be things the writer did subconsciously. They could be things the author isn't even fully aware of. These things need to be pointed out so that the author can become aware of them and learn to gain conscious control over them, so they can intentionally use them in future stories, use them to better effect, and take them to the next level. And even if the author did do them very intentionally, it's important that they know it had the effect they intended. Every once in a while (haha, who am I kidding? Every ten times in a while . . . ) you may come across someone who adheres to writing rules more than they adhere to the commandments of God. There are a lot of great reasons to learn and adhere to the rules (remember how I said everyone starts with the basics? ), but as an editor, I've seen times where adhering to rules actually hurt the story and writing rather than benefited it. Often the rules that get the ultimate devotion are rules that relate to style. Sorry, not sorry, but style is not the end-all and be-all, of storytelling. It has a place in storytelling, absolutely, but it is not the sum of a good story. It's only one element. You do not need to sacrifice all the other elements every time to it as if it were a god. You do not need to sacrifice tone in order to please the no-passive-voice rule. There are places where passive voice is exactly what you need. Same thing can be true of content rules. Some stories really do need that character sitting and doing nothing but thinking for the opening pages (gasp!). Some stories actually do need that flashback desperately. Some stories do need that much telling. Some stories do need that vague passage. This is why rules are really more like guidelines. You would think that the more editing time a story requires the "worse" the submitted story is. And while the quality of the story is absolutely a main, if not leading, factor, this is not always the case. Some stories are simply more complex than others. They may have a complex, intricate story structure. They may be full of meaningful subtext and undercurrents that need to be perfected. 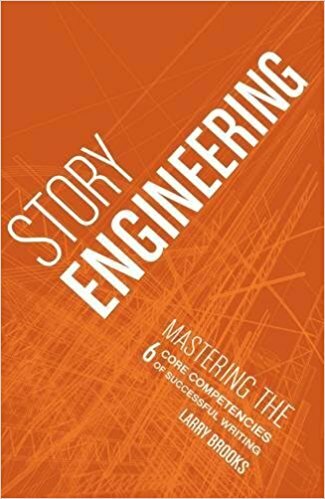 The author may have a grand vision for the story that requires stark precision and specificity to accomplish. Some stories inherently take longer to edit than others. Likewise, I've done editing work for really amazing writers that take far longer than beginning writers--because what the former writers need to hear from me is much more advanced and therefore requires more specificity to explain and teach; it's not the sort of thing you are going to have pop up in a Google search with 1k results that lead you to everything you want to hear. Because it is advanced and intricate and sometimes personalized to that particular writer or story, I need to be more precise and exact in diagnosing and explaining it. How long or short of an edit a story needs is not necessarily how "good" or "bad" a story or writer is. A complex story is not automatically better than a simple story. They are just different. They belong in different places. They have different needs and goals. Not all stories are edited equally. The short: I now have a freelance editing website! FawkesEditing.com! For years I've occasionally been doing some editing for additional projects on the side of my regular work, but now I'm happy to say I have my own website specifically for my freelance editing services, and I am ready to take on new clients. 😍 I'd love to get some help, if you are willing. You can visit or link to my website at https://www.fawkesediting.com/. But even if you are not interested in my editing, what I do need help with is spreading the word. I've put together this Thunderclap campaign, which, if you aren't familiar with Thunderclap, is a service where people vow to share a link on social media on a specific day. UPDATE: The Thunderclap has ended. Thank you to everyone who participated and helped me reach my goal! I would still appreciate any help spreading the word though. In order for the campaign to work, I need at least 100 people to vow to share. Thunderclap releases the shares all on the same day (ours is Oct. 13th), like a big social media bomb. But if I don't get at least 100 people, Thunderclap will not release the shares. You can also share the website any other time, but I need at least 100 people to help me through Thunderclap. If everyone reading this post vowed to share, we'd be at the goal in a matter of hours, so please consider it. Over the years I haven't asked for much, if really anything, from my followers. I don't even have products to sell on my website here at SeptemberCFawkes.com for you guys to patronize me ;) Everything I've done on this site, I've done for free, for almost five years. Actually, I even put some of my own money into it. All in all, thank you for being a part of my writing and editing journey with me. 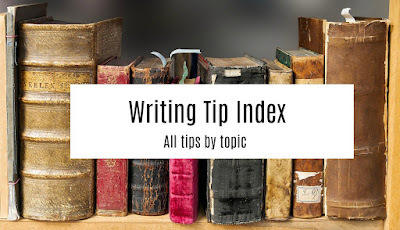 Visit the Writing Tip Index for all of my writing tips organized by topic. I recently got a question from a follower about how to write a story where a very valuable piece of information about the protagonist is kept hidden from the reader until much later in the story, probably at the climax for a nice twist or reveal. Surprisingly this sort of question comes up somewhat often (especially by new writers), which is why I decided to talk about it in its own post (and in order to do that, this post will be quite long). The writer may want to write a murder mystery where it turns out that the protagonist is the murderer. Or perhaps they go through the whole story believing that the protagonist is human, but then at the end, it's revealed he's another creature pertinent to the story. Or maybe at the end, it's revealed that he's actually dead. I love those sorts of reveals. Some of my all-time favorite shows use them. But they are extremely difficult, if not impossible to do in a written story. In fact, many writers will tell you that they can't be done at all. In reading, the audience gets very close to the main character. Because we almost always are experiencing the story from their viewpoint, it's like we put on their mind and body. We are connected to their senses--what they see, smell, taste, touch, hear--because good writing (almost always) must appeal to the senses powerfully. Furthermore, if your protagonist is intentionally leaving something important out from the reader, the reader usually notices and feel cheated--like he's being played. Another problem is that it keeps the reader from identifying closely and bonding with the protagonist--another element usually needed to write a good story. I, myself, have spent a good amount of time thinking about this question, as I've had it before too, have heard others ask it enough, and have witnessed other professionals address it. Can you hide something important about your protagonist from the audience? Many people will tell you that you cannot. You cannot do that and write a successful story. You cannot have your cake and eat it too. Of course, I'm skeptical whenever someone in the writing world says something can never be done. "You can't teach writing." "Writers are born, and if you don't have IT, you can't become one." "You can't write anything that hasn't already been thought of." "You can't use passive voice." "You can't use alternative dialogue tags." "You can't use to-be verbs." "You can't use adverbs." "You can't apply point of view penetration to first-person." "You can't learn how to write humor." I've said it before, and I'll say it again: Those who say something can't be done, don't know how to do it. And the moment we believe something can't be done, we put a ceiling and a limitation on ourselves and the writing world at large. Can you write a book where the protagonist keeps something important from the audience until much later? Yes. Do people know how to do it successfully AND how to teach others to do it successfully? No one that I know of. I'm going to take a stab on some of my own theories on the subject that I've been developing, but keep in mind, this is an ongoing thing I haven't completely nailed down yet. Here are some ways to deal with this, but first I'll address the answer I usually hear. Often when I hear this question posed, I hear professional writers answer by having the person consider changing who their main character or viewpoint character is. This doesn't tell you how to hide important info from the audience, but it does give you an alternative that is much easier to deal with. Instead of writing about a main character keeping a secret, you can write about someone else who knows the person and then have them discover the secret. This probably means changing who your protagonist is to the character's friend, neighbor, love interest, coworker, or whatever. However, sometimes you can simply change the viewpoint character. As I've mention before, the protagonist is not necessarily the viewpoint character, thought almost always they are the same person. Sherlock Holmes is perhaps the most famous example of this. Watson is the viewpoint characters. Holmes is the protagonist. By changing your viewpoint character, you maneuver your way out of this problem. If you are trying to keep something hidden from the audiences, and that something is very relevant to the main plot or focus of the story, most likely your audience is going to notice and be annoyed. This is one of the most common problems I see with new writers trying to include a mystery. In the structure of their sentences and scene, they focus on what's being withheld, or the fact that something is being withheld. For example, there might be a whole paragraph about dads, with the protagonist thinking about her dad, and a sentence like "She never wanted to remember what her dad had done to her 15 years ago." Now, the sentence itself might actually work in a different structure, but the problem is, since we spent a whole paragraph talking about dads and her dad, dads became the main focus of the story, so when information about what Dad did 15 years ago is withheld, it's annoying and noticeable. One of the problems . . . is that you are drawing attention to the fact that you are withholding important, possibly traumatic, information about your protagonist, and alerting to the reader that "Hey, this is going to be an important backstory that's kind of mysterious and I'm going to tell you about it later." It feels a lot less mysterious when the writer is advertising the mystery. The best mysteries are ones where the audience is a participator. And the audience notices themselves that there is something off, or strange, or mysterious in what is going on, not when the narrator advertises it to them. This can be a problem with just about any mystery, but it tends to be an even more common problem if the protagonist is the one not divulging information. To pull this sort of thing off, you need to make sure that whatever the protagonist is hiding is not the main focus of the story--that it stays on the sidelines until the perfect moment. It doesn't mean that the info isn't pertinent to the main plot. It's just that when the main focus is something else, this information can be passed over. I recently edited a story where the writer handled this masterfully in the opening chapter. In fact, it was jaw-dropping. The protagonist manages to keep important information from the reader--and the reader even becomes aware that this is happening--for the whole first chapter, but to be honest, if the story was structured differently, it could have been kept from us until the climax. How did this person do it? By making something else the focus of the story. And better yet, making something happening in the here and now that demands immediate attention, that demands focus. We notice we are missing important information, or that something is off, but the task at hand is so much more important and demands present action. For example, say that your main character is a dragon, but the kind that can have a human form (if you've seen those in stories.) It can manifest itself and live as a human, but is really a dragon in disguise. Say we want to keep the fact the protagonist is a dragon hidden until later. The first chapter opens up with a fire in a building, and the protagonist is involved, maybe as a firefighter (beautiful irony to play with there and opportunity for character complexity and depth) or as a passing citizen, or a renter of the an apartment in the building. Maybe he is trying to rescue a child he knows personally trapped on an upper floor. This is a set-up that demands present action--it demands the story's main focus. So, we have this protagonist focused on trying to save this child--that's the surface of the story. However, in the process, because the protagonist is our viewpoint character, we notice that in passing he thinks a few unusual things about fire. Nothing way out there or that gives his true nature away, just something slightly unique or off. Maybe he thinks about a personal relationship he has with fire, but doesn't go on to explain what. It's very important these thoughts are not bunched together. None of them make a full paragraph length. They are very brief and spread apart, sprinkled in here and there. When they are long and bunched together, they became a main focus, which we don't want. Now, how you word those thoughts depends on what kind of effect you are going for. As I mentioned in my post The Mechanics of Rendering Mysteries and Undercurrent, you can have a conscious mystery, a subconscious mystery, or a full undercurrent ("I didn't see that coming"). If you want a conscious mystery, you make the fact that those thoughts seem slightly off, a tad more obvious. If you want a subconscious mystery, you make it less. If you want it as a full undercurrent, you word those thoughts in a way that gives them a double meaning--they make sense in the moment, but they'll have a double meaning and make more sense when we have the context that he is a dragon. So in this dragon story, the fact he is a dragon may be pertinent, but it doesn't become a main focus until near the time you reveal he's actually a dragon. Then, if you want, you can let it become the main focus--having longer dragon-related thoughts, having more of those thoughts closer together. Or you can just reveal it and let those pieces fall in place in the reader's mind. Depends on your own story and how it's handled up to that point. This may seem similar to the last section, but it's different. See, in our dragon example, our protagonist was working with fire, so for a dragon, that's directly relevant to what we are hiding from the audience. In this method, what is kept hidden does not seem relevant to the main story hardly at all. Therefore, the protagonist never naturally brings it up, or if she does (indirectly), it doesn't seem connected at all to what is happening in the story. The reality is, we can't tell our readers every-thing about our protagonist--it's just not relevant to the story. For example, I don't know exactly what Harry Potter's 6th birthday was like, I don't know what Frodo's favorite color is, and I don't if Katniss aced a language arts exam in school. And I don't need to know, because it's not important. So in this method, the information that the protagonist keeps hidden is simply kept hidden because it seemed irrelevant. In college, I got this idea for a middle grade fantasy story I wanted to write, that played with the "Chosen One" trope. In it, a young boy is collected by a magical guardian and taken to a fantasy world, where in the story, it's revealed he's the "Chosen One." However, in that pivotal moment in the climax where the Chosen One does his amazing thing, it doesn't work. The guardian and another mentor character can't figure out why it's not working--they are retracing their steps and thought processes. They are saying it doesn't make sense because the protagonist is part of this special bloodline, and they tracked down his parents to find him, and so it should all work. The protagonist reveals he's adopted. The other two characters are shocked. Since he's not of that bloodline, he's not the Chosen One. Then the next installment would include them trying to find out if his parents had any other unknown children, and the protagonist (still deeply involved in other ways) would be looking for the real Chosen One. So, the fact he is adopted is kept hidden through the whole story. The protagonist knew the whole time he was adopted, he just didn't bring it up because he didn't think it was relevant. That's another way you can handle this sort of thing you can try. I know some people read that section heading and probably groaned, because they've seen this handled in poor ways or in cliche ways. But just keep reading. You'll learn something new probably. Many a new writer will deal with this sort of thing by starting with a character who has some form of amnesia--she doesn't remember who she is, where she is, or what she did. Therefore, the reader can't know either. So as the protagonist works on getting this information, the audience is also part of the mystery. This opening is used so much, that people automatically think it's bad or disregard it. But the reality is, the concept can be handled in many ways, and you can deal with your character's memory in other ways than just amnesia. One of the reasons this technique gets groaned at is because of the way it's often introduced in a story's opening. But it's entirely possible to start a story years after your character got his amnesia, have him established in a new life with new conflicts and focused on other things. You can reveal he has minor amnesia much later, maybe even in passing. You don't make the fact he has amnesia the central focus of the story, but keep it on the sidelines. A 90's show I grew up on Trigun, does this sort of thing (in addition to the first technique I outlined). We don't know until several episodes in that the protagonist doesn't remember anything that happened during an important event. To top it off, he's a character who struggles with facing legitimate problems directly, so he doesn't necessarily want to go digging to find out what happened. He just wants to live a new and obscure life. But you can do more than play with legit amnesia. You can play with false memories, blocked memories, or inaccurate memories. The character may truly know these things, but she just doesn't remember them very well or very much or in the same way. And let's be honest, amnesia is a bit of an indirect way of answering this question--because you aren't hiding what the protagonist knows, but what the protagonist had known at some point. So let's get to some of the other options. Season four of Sherlock is a good example of the alternatives. If you haven't watched it yet, skip the next paragraph. Throughout the whole show, there have been references to Redbeard and also references to an East Wind. Redbeard was a dog Sherlock had as a child, and East Wind is from a story Mycroft used to tell him. However, in season four, we discover that Redbeard wasn't actually a dog at all, but a pretend pirate name for Sherlock's best friend. And East Wind isn't the name of a destructive wind that destroys everything in its path, but what the name "Eurus" means, and Eurus is Sherlock's forgotten sister. And because of the tragic things that happened with these people, Sherlock developed inaccurate and false memories (with Mycroft's help of course; he worked to reprogram Sherlock's memories). So it's not so much that Sherlock has amnesia, it's just that his memories are wrong. He knows about Redbeard and the East Wind, but the way he remembers them is incorrect. In the short story "The Armor Embrace" by Doug C. Souza, the protagonist is wired into a mech suit, and runs off from his military operation to see his daughter. This is so important to him, to see his daughter. But at the end of the story, we realize he isn't who we thinks he is. His memory has been captured or stored in the mech's computer, and the real him is actually dead. So you can mess around with memories too, just be careful of not being too cliche. Similarly, you can also have a character who knows information pertaining to the big reveal, but just not in the right context. In the short story "A Glamour in Black" by Sylvia Ann Hiven, the main character had to have a parasite put into her back years ago, in order to save her life. It's a parasite that gives her magical abilities. Her hope is to one day have enough money to safely have the parasite taken out again. However, after a few great plot twists and the parasite gets taken out, what our viewpoint character can see, hear, and experience (or the lack thereof) totally changes--it turns out, she was the parasite, and similar to "The Armor Embrace," she (or the real soul of the body) actually died in her accident, and the parasite has just been living in her body, having reanimated it. While this example does relate to what I touched on in the last section, I'm convinced it can be pulled off on its own--the shift in context. The information itself the character knows and is a part of, but then something happens that puts it in a new perspective or context he didn't realize before. For another example, I just finished a show that dealt with time travel and parallel worlds. The main character has the ability to detect when the timeline (a.k.a. world line) he's in shifts. He experienced it when ten years old, but he didn't have the context for what it was until he saw it through a certain perspective. Now, in that example, the character experiences the context shift himself, but you could also do a context shift that only involves the reader, so that the viewpoint character always had the right context, but the reader didn't. This can overlap or relate with the next section in some ways. The viewpoint character does not think she is hiding anything from the reader, isn't trying to hide anything intentionally (though maybe she is subconsciously), but information is relayed in a way that gives the reader inaccurate context, and therefore a slightly inaccurate conclusion or understanding about it. Then, when the true context/info is revealed, it's not that the reader feels like it was fully hidden from him, but rather that he had misunderstood its meaning. Finally, you can also play with context (or the lack thereof) in teasers. Usually this is done in a prologue, which I know people in the writing world hate, but I actually like them, and you can find them all over the bookshelves in stores today. Teasers work by giving us glimpses or flashes or snippets (for books, this is almost always a single scene, because it's much harder to do multiple scenes like this in the written word as opposed to visual storytelling), that make us feel a certain way or that make promises to us. The thing that is always true about teasers though, is that they don't give us the full context. That's why they are teasers. We have to read the rest of the story or watch the movie to get the context of what we saw in it. It's possible to do a teaser that has the hidden information, but lacks the context for us to understand it. Then when we read the whole story, we can go back and realize we did have the information, or part of it, but we just didn't know what we were looking at. In these cases, it's the context that's kept most hidden. When we finally have the full context for the content, we get the true meaning, the true information that was hidden. Another way to try to pull this off, is to have the story written in a way that the narrator has assumed that the reader already knows what's hidden. The novel I recently edited and mentioned earlier did this sort of thing. The viewpoint character kept bringing up something that happened in a fire, but never told us what exactly. But she referenced it and talked about it like it didn't need explaining. Now, this is one of those approaches that can blow up in your face if you don't remember to present the clues as info or in passing, instead of something you are dangling in front of the reader, like a carrot on a stick. The way it's written should not try to draw attention to it. The writer just lets it be because it already naturally draws attention because it brings to mind questions, in the reader. It's just stated and the story moves on. This sort of thing is done sometimes with what I'll call "Big Narrators"--these are the sorts of narrators that are loaded with personality. Lemony Snicket is a perfect example. Throughout the Series of Unfortunate Events, he makes reference to things that happened in the past with VFD, but not necessarily in a way that explains them, rather he talks as though the reader already knows about them, such as his references to the sugar bowl and the incident with it. Now, the series ended up shaping into something else, but if the writer had wanted to, the incident with the sugar bowl could have been a huge revelation pertinent to the plot. You don't need to have a "Big Narrator" or colorful narrator to do this though. If you're clever, you can get away with it with a typical viewpoint character. If your narrator or viewpoint character is intentionally leaving things out from the reader, you're probably working with an unreliable narrator. These guys can be tricky sometimes, but if this hidden information is going to be really important to the story, you almost always want to establish that the narrator is unreliable from early on. This is done by using subtext. It can be really hard and tricky, but the idea is to word things, and present ideas and conclusions that don't quite add up, or that seem a bit off to the reader. One thing I'd recommend if trying to craft an unreliable narrator is to get Ackerman and Puglisi's Emotion Thesaurus, which not only talks about how emotions are manifested, but also how suppressed emotions are manifested. Which is often essentially what you are dealing with. Your narrator is suppressing thoughts and emotions from the reader. For this sort of set-up, this often means, that the narrator is suggesting (maybe subtly, maybe more strongly (but almost never heavy-handedly)) that the reader come to certain conclusions about things--what the narrator wants others/the audience to think about him or her and the events. But again, there are some things that seem off or that don't quite add up to the reader, or maybe the reader picks up on the suppressed emotions. Ready for it to get trickier? The goal is to make the reader aware that the viewpoint character is somewhat unreliable, without giving away from the beginning exactly what the character is hiding. You can't have the audience be blindsided, having trusted the viewpoint character, and then feeling cheated they didn't know about this info, but you can't have it so obvious that they figure out the info long before the reveal. Whew, no wonder this is so difficult. Now, if the information is more in the background, and other things on the surface of the story demand present attention, then you can be vague. But if the hidden information is more relevant to the story and what's at hand and close to the focus of the story, you need to be ambiguous--giving the reader multiple ways to interpret what's going on, until the reveal. This one relates both to context shifts and unreliable narrators in particular, and many other things as well, but I put it in its own category so that you can visualize it as its own thing, instead of one that must be attached to a specific method. To do this method, you must have the clues and hints about the hidden information, but delve them out in the story in a way that leads the reader to misunderstand or misinterpret it and come to the wrong conclusion. This is a significant method to include, because it's sometimes very much the route a certain story needs to take. Rather than have your audience wondering and wondering and wondering through a whole story, you let them come to a conclusion, and get a level of false closure, thinking they understand and have figured it out, when actually they don't. When the true info and understanding is revealed, it still fits the clues and hints, but in a somewhat unforeseen way. Whew, that's a lot to think about and consider, and like I said, these are my thoughts and theories in progress. Regardless of them, I'm sure there are many people who will say that these things and methods are "cheating." I loved in a podcast of Writing Excuses, where Brandon Sanderson admits to keeping information his viewpoint character, Kelsier, knows from the audience in his novel Mistborn, and says "I cheated." What struck me in particular about this, is that Brandon Sanderson was aware that he'd done something other people considered "cheating," but he chose to do it anyway because he wanted to. I'm going to do a post on that sort of thing someday in the future. In some cases, the pros of cheating just outweigh the cons, ultimately making a better story, if still an imperfect one. And all in all, the reader's experience should take precedence over writers' "rules." So can you write a story where something the main character knows is kept from the reader? Yes! Can it be done well? Yes! Does that mean it's easy? Definitely not. This is super advanced craft and takes a lot of talent to pull off well. But let's stop teaching people it can't be done, so that we can actually get some great writers in the world who can do it.